What does vocation-speak look like in a globalized context? I deeply value the process of encouraging and guiding students in reflective explorations of calling, helping them to understand the importance of the unfolding, never-finished journey of vocational discernment. And yet there are many assumptions within the usual discourse on vocational discernment that are quietly made when the conversation focuses on relatively privileged students within the United States – students who have the security of citizenship, of access to college, of some degree of family support, of a relatively peaceful, stable environment. Many students do not have a wealth of options to choose among as they consider the paths their future may take after graduation. They do not fit the usual portrait of privilege, choice and opportunity. This is true in the United States; it is true in many countries. Let’s spend some time here with the students who do not “fit” and with the practice of encouraging vocational discernment in its widest context. This doesn’t mean that vocational discernment is useless for these students. In fact, identifying compelling conjunctions of interests and abilities with society’s needs and available opportunities – and thus seeking to discover doorways into meaningful and fulfilling work – is profoundly important for these students as it is for those of us who work with them. 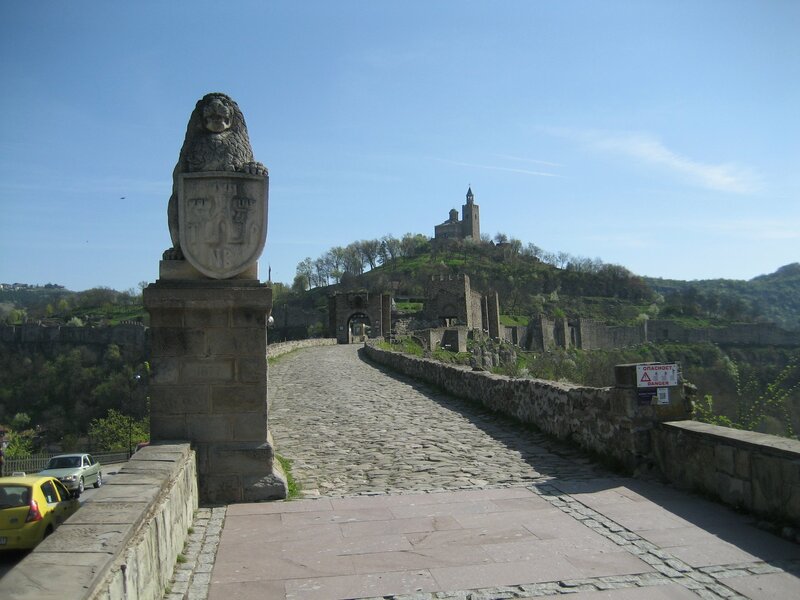 Entrance to Tsarevets Fortress in Veliko Tarnovo, the capital of the Second Bulgarian Empire. The language of vocational discernment may be the essential foundation for action in support of refugee students whose urgent need to continue their studies means not only the potential fulfillment of personal aspirations but the hope of the eventual rebuilding of a broken nation. The language of vocational discernment may help open up the possibilities for understanding when it informs support and advocacy for undocumented students who seek to remain in the United States in order to pursue their education, to make a home here, to find meaningful work. I include here refugee students who flee immediate violence because to stay at home is to risk death. They deserve the utmost consideration – and they deserve as a human right access to such practical goods as education, safe places to live, adequate food and medical care, freedom from the fear that they or their families and loved ones are in immediate danger of death or imprisonment because of civil conflict. They have many gifts to give and need ways in which to develop them. I include here also the economic migrants who seek educational and economic opportunities in countries with economies more robust and social structures more stable than their home countries, and (within the U.S. context) I include those international students who come to the States to study with the hope of remaining here to work after graduation. Even in these complex situations, within a globalized frame, we encourage students to consider strengths and preferences, to define values and goals, to understand that life unfolds slowly (and not always predictably) and that following one’s calling may mean different things at different times. We encourage students to seek out fulfilling work that feeds their souls, strengthens their spirits, and helps to make society a better place. 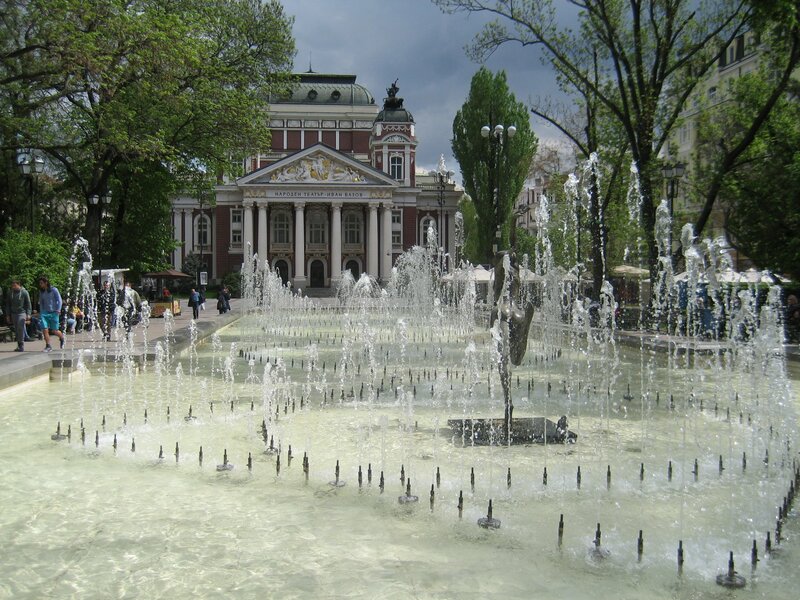 View of the National Theatre in city center, Sofia. For some students, the imperative to find work commensurate with their abilities means that they will leave home, with a student visa or with cash to pay for illegal (and risky, often terribly unsafe) transport along migrant routes, in order to find better opportunities than they see around them at present. When the imperative of vocational fulfillment meets this historical turning-point moment of massive human migration, we who care about vocational discernment, who believe that this initiative opens up critically important questions for students within educational settings, have a distinctive opportunity to add something new and important to the contentious conversations taking place on local, regional and national levels in the States and elsewhere. As I think about the ways in which the language of vocational discernment intersects with globalization, these are the issues I dwell upon. I am sure there are additional issues of significance, and I welcome dialogue and further reflection. In my next piece, I will identify four additional aspects of this intersection that require our careful consideration. NOTE: All photographs taken by the author. Thank you for these sources! I am one of several professors who teach the vocation course for upperclassmen at my institution, and we struggle to initiate this conversation among our students. Could you recommend a short reading that might spark this conversation about the privilege inherent in considerations of vocation? Dear Tara – if it would help to open up the conversation within your student group to consider the constraints, opportunities, struggles and resiliency of students elsewhere – perhaps https://www.iie.org/Research-and-Insights/Publications/We-Will-Stop-Here-And-Go-No-Further-Syrian-University-Students-And-Scholars-In-Turkey (this IIE webpage includes links to a three-part series of studies completed by IIE and the University of California-Davis on the conditions and educational needs of Syrian university students and scholars in Jordan, Lebanon, and Turkey.